It’s picnic season in Londontown. 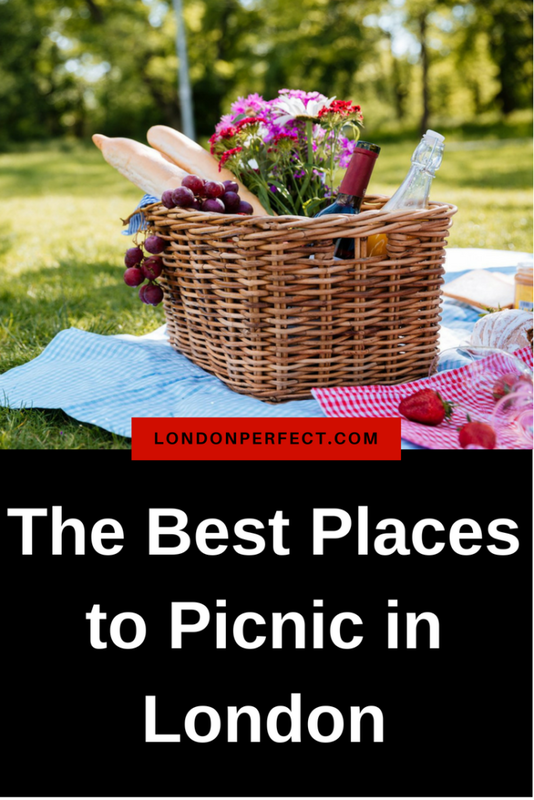 There’s nothing more civilized or British than a posh picnic, and when the sun’s shining, Londoners love to live it up with some al fresco dining and drinking in one of the city’s many green spaces. 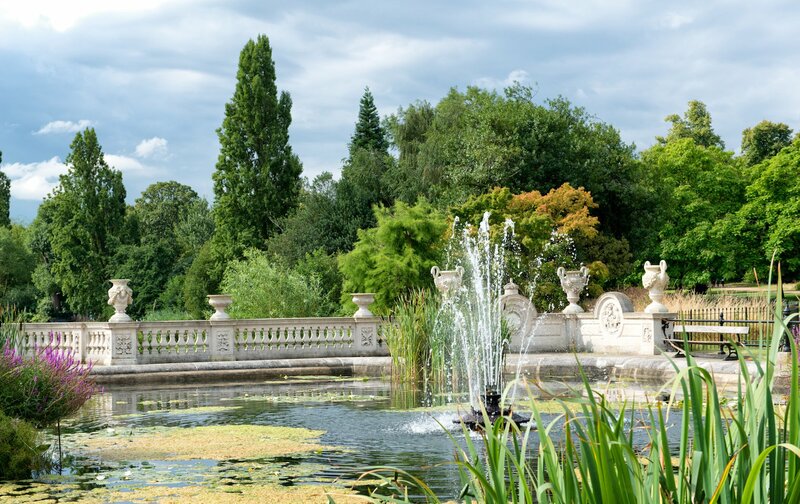 There are eight official Royal Parks in this leafy capital city, but these are the best places to picnic in London within walking distance of our London Perfect apartments. Holland Park is close to many of our apartments and one of the best places to picnic in London. 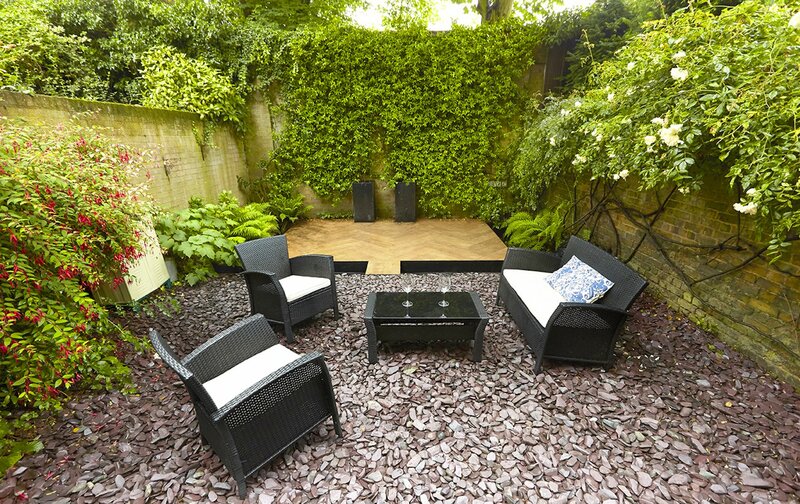 This Royal Park is hidden away in the elegant eponymous Holland Park neighborhood, between Kensington and Notting Hill. It’s just a short stroll away for those staying at the Chatham, Gladstone, Attlee, Macdonald or in the Hornton, which are all located in the larger Kensington area. 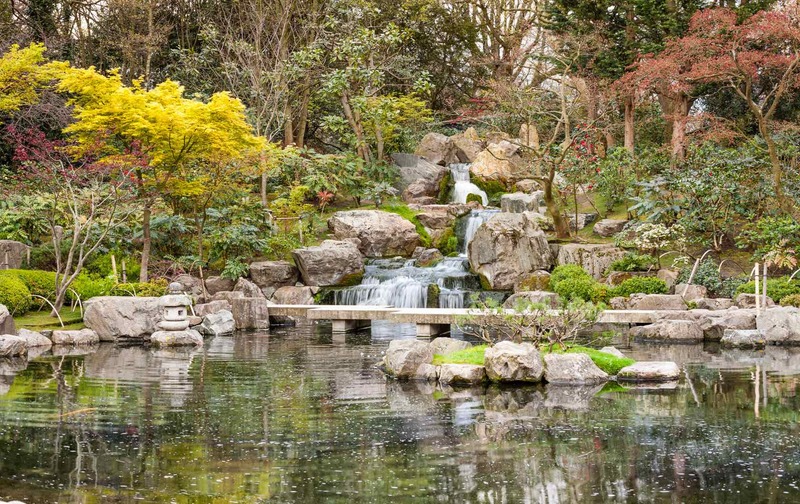 Holland Park is one of London’s best-kept local secrets. Yet, since you’re living like a local with your own digs, you’re invited to picnic in this pristine park filled with peacocks, a Japanese garden, woodland trails and an old manor house. For the perfect summer evening, go to Jeroboams, a gourmet grocer on the north side of the park. There, you can pick up some amazing English cheeses and maybe even a bottle of English sparkling wine—they’re good, we promise! Then, head into the park and find a nice green spot in front of the ruins of Cope Castle, a Jacobean mansion, part of which is used as an open-air opera venue in the summer. 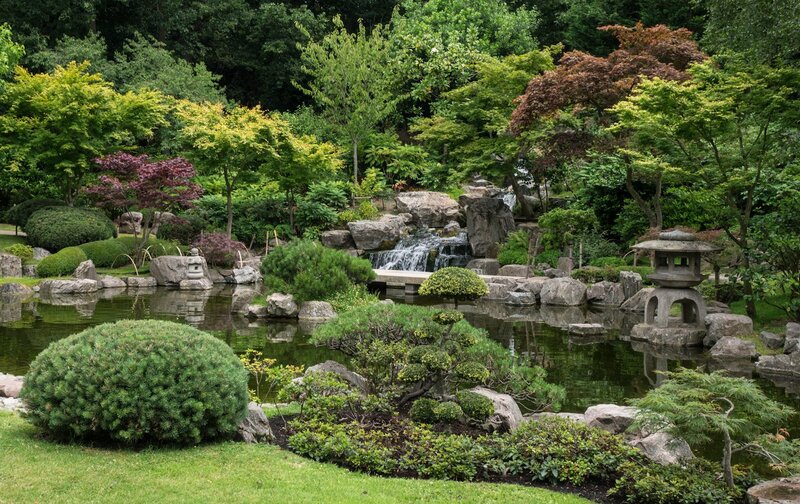 Don’t miss the Kyoto Garden, resplendent with golden koi fish, waterfalls and manicured trees. The peacocks—which are technically wild—tend to hang out in this area as well. Is there anything more English than Kensington Gardens? (Answer: no.) Once part of Hyde Park (and still connected with it), Kensington Gardens is steps away from the Danebury set in a lovely mews in Notting Hill. 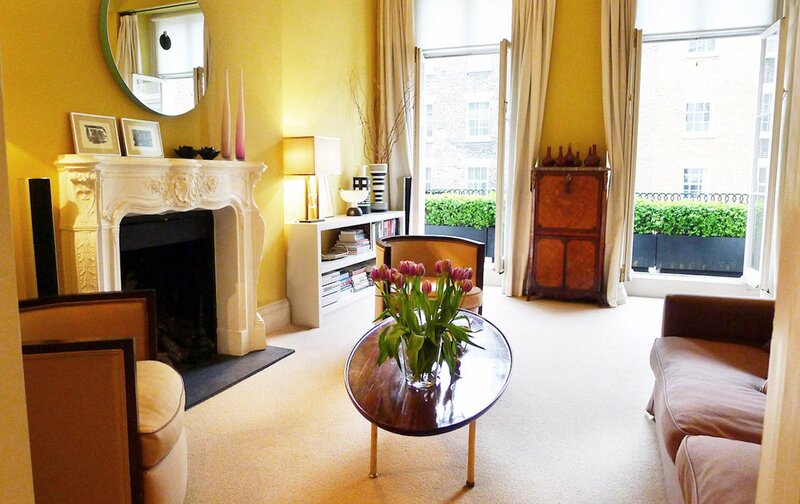 It’s also close to Palace Gardens Apartment, the Austen, Gloucester and Rosebery (all of which are in Kensington). 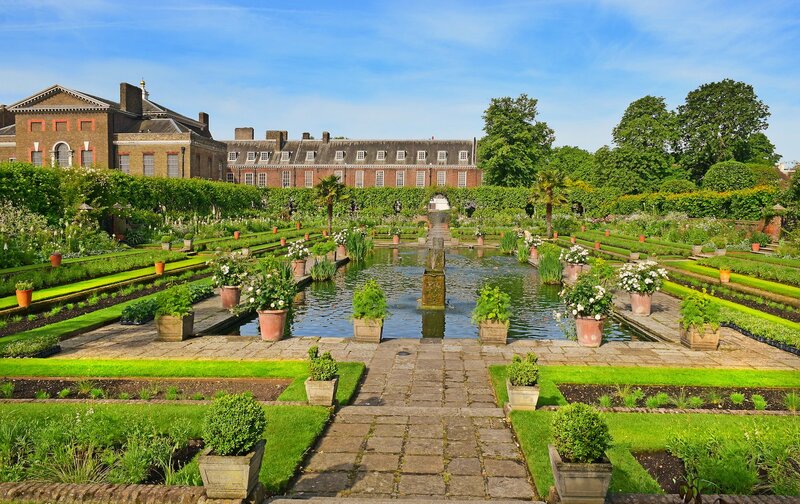 The park contains Kensington Palace, where many of the young royals live. There’s even a statue dedicated to Peter Pan. In 1912, the statue was erected in secret in the middle of the night to infuse a sense of childhood magic. Other magical spots to check out? The fountain-filled Italian Gardens on the north side of the park and the ornate Victorian-styled Albert Memorial. Near to the park on the charming Kensington Church Street, you can find the artisan Greek food store, Menoo. Stock up on picnic-ready goodies like homemade spinach pies and tangy olives. Hyde Park is attached to Kensington Gardens, and it’s easy to confuse the two as one big park. 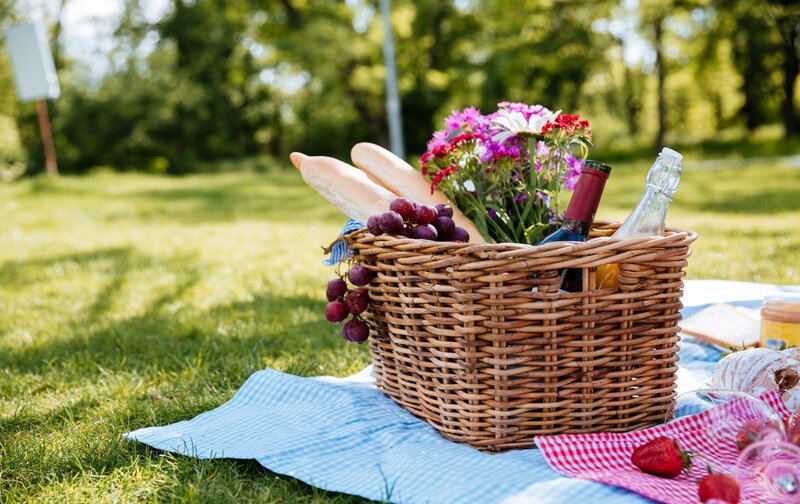 If you’re staying at the Spencer, Lennox or Walton, then this is your picnic-perfect park. (Another reason why it’s one of the best places to picnic in London? Because it’s also a favorite hangout of Harry and Meghan!) One of the prime spots to spread your picnic blanket is by the Diana, Princess of Wales Memorial Fountain, which is along the Serpentine, the park’s large pond. But at 350 acres, there are plenty of other grassy knolls to call your own. Keep an eye out for the bright green parakeets—they love to hang out around the east bank of the Serpentine. Perfect for the Chelsea set (like those staying at the comfortable Elliott, the bright Christchurch or the newly remodeled Hamilton, with a beautiful backyard garden of its very own), there’s the 200-acre Battersea Park, which is certainly one of the best places to picnic in London. Sitting on the south bank of the River Thames, this green space is a favorite of locals—especially those with families. There’s a small zoo, a picturesque Peace Pagoda, a boating lake and even an English garden hidden behind brick walls. For something extra special, pick the palm-bedecked Subtropical Garden as your picnicking location. Posted on Monday, May 28th, 2018 at 1:25 pm in See & Do. You can follow any responses to this entry through the RSS 2.0 feed. You can skip to the end and leave a response. Pinging is currently not allowed.